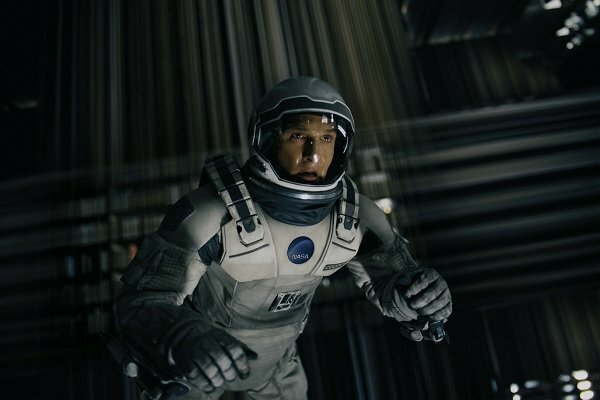 Interstellar Ending: Was Matthew McConaughey's Mission A Success? If you boil down all of Interstellar's moving dialogue and amazing visuals, it reduces down to one driving purpose: the goal of saving humanity. Matthew McConaughey's Cooper is recruited by Michael Caine's Professor Brand to lead a mission past the wormhole and colonize one of three supposedly inhabitable worlds. This is only after the good Professor fails in his efforts to launch massive space stations off of the face of the Earth, ensuring humanity's survival offworld. This leaves humanity with two separate missions, two separate chances to ensure its survival. With an ending that's pretty vague in what it says, as well as the fact that Jonathan Nolan himself has spoken out on his original ending, there's some big questions about just how effective Interstellar's missions really were. Were Cooper, his team, and his daughter successful in saving the human race from extinction? That's what we're going to discuss, at length. Using the information given to us throughout the film's course of events, we'll see just which mission, if any, ensured humanity's survival in the stars. 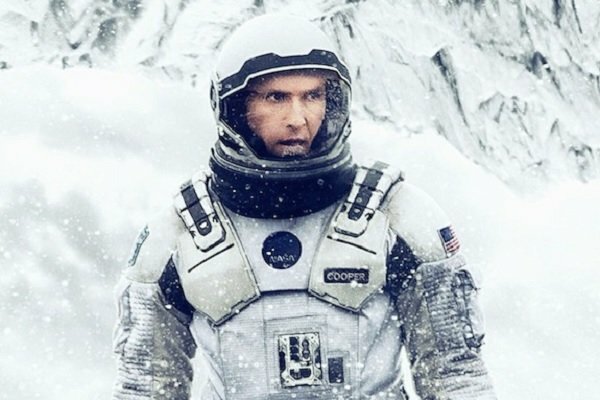 Warning: Interstellar will be spoiled at length in this article. If you haven't already seen the film, bookmark this page and come back to us later. The original plan to save the world's population in Interstellar was to build a massive space complex that doubled as a series of viable space stations. With Professor Brand working to complete a formula, he would enable those stations to be able to leave the planet, sending humanity off-world and towards Gargantua's supposed worlds of plenty. Unfortunately, the good Professor couldn't figure out his work, which led to the double-edged sword of his dishonesty involving the true purpose of the Endurance mission, as well as the inadvertent development of Cooper's daughter, Murphy (Jessica Chastain), as our planet's eventual savior. Murphy ultimately saves the human race by receiving the necessary data to launch the stations off of Earth. She gets this information from her father, who's sending her encoded messages through his old wrist watch and time/space conduit located within the heart of Gargantua. Humanity is able to cast the shackles of its oppressive mother planet, and soar above the atmosphere to parts unknown. All because a little girl grew up with a wish and a hope to see her father one last time. Did The Mission Succeed? : Yes, this mission succeeds because it helps get humanity off of Earth, in sustainable space communities that may or may not colonize the worlds beyond the wormhole. After Professor Brand believes his formula is no longer the answer to the problem of humanity's ultimate re-homing, the Lazarus and Endurance missions are formed to send advance teams to location scout our new digs at the other end of space. Thanks to the 11 brave souls and one cowardly soul who volunteered to embark on the solo missions to survey the twelve worlds past the wormhole, three worlds were deemed as possibly habitable. If only long-range communications could have gotten through Gargantua's gravity well, that might have helped the crew positively identify Planet Edmunds as being the only real option of viability. The other two worlds, Planet Mann and Planet Miller, are ice- and water-heavy environments respectively, making colonization nigh impossible on either of their surfaces. In fact, even visiting their surfaces took time away from the mission on a whole, which – strangely enough – could have been reduced if the crew had actually yielded to Amelia Brand's (Anne Hathaway) emotional assumption that her boyfriend's planet was the right choice. One emotional choice could have brought the Endurance crew closer to their mission of colonizing an off world planet, with more crew members intact. Did The Mission Succeed? : Yes. Based on Christopher Nolan’s ending, and judging by the tone of the film, we can assume that Amelia Brand’s colony on Planet Edmunds will succeed. This is especially true as the film ends with Cooper heading back to be with her in order to help with the colonization process. Taking them both at face value, it looks as if Plan A and Plan B both succeed in their missions to save humanity. Plan A's mathematical equation is solved, thus allowing the world's population to leave Earth behind; while Plan B seems to have started a colony on Planet Edmunds under the scientifically proficient hand of Amelia Brand (Hathaway). Of course, this is all based off of the ending that we got from the Christopher Nolan version of the story, which as we know is different past a certain point in the film’s narrative. Taking this into account, it's Plan A that truly succeeds all around, with Plan B having a lesser chance of succeeding once you factor in the ending that Jonathan Nolan cooked up (which we'll analyze next). Plan A’s success is due to the fact that it isn’t as dependent on Christopher Nolan's ending to succeed. Remove all of the events past the Tesseract, and we can still say with confidence that Cooper got the information to his daughter, and Plan A succeeded in saving our collective asses. Plan B, however, isn’t quite as solid in that respect, which is readily apparent when you dissect the Jonathan Nolan take on Interstellar’s finale. Let's do that now! The fact that Interstellar went through some changes at the script level is heavily documented, as the project changed hands between Steven Spielberg and Christopher Nolan in its lifetime. One massive change was the ending. To recap, Jonathan’s ending has Cooper still going into Gargantua’s depths, as well as also having him transmit the vital data back to Murphy in the past, via his old wristwatch and Morse Code. Up until this point in the story, we’re on about the same track, and this means Plan A (which we have discussed), succeeds. Brand's equations saves our planet. The big difference comes from Jonathan’s version of events within Gargantua, as the black hole collapses around Cooper as he is sending the data back to Earth. To a certain extent, we can’t 100% confirm that the data makes its way through the wormhole, as Jonathan Nolan stated that the "attempt" to send the data is what collapses everything. However, considering the film builds around the fact that Cooper and his daughter stumbled upon this mission based on co-ordinates sent back through the wormhole, we can safely assume that the data does go through and Plan A succeeds. Plan B, on the other hand, is left as a mystery as to whether it succeeded or not in Jonathan's world, as the film ends with Cooper being lost in Gargantua’s collapse. There is no emotional coda of meeting Murph one last time, before setting off to Planet Edmunds to assist Amelia with the new colony she’s hoping to set up. We’re not given any of that information, so it’s a toss-up as to whether Amelia even made it to Planet Edmunds, much less started growing its population. Final Verdict : Plan A is a complete success, no matter which ending you use to conclude Interstellar. Plan B only really works if you take Christopher Nolan’s ending as gospel, and dispel Jonathan Nolan’s version of events. Whichever version of events you take as the ultimate outcome to Interstellar’s far out story, at the very least humanity does in some form or another live on. The fact that the film is able to provide such an outcome is a testament to the scientific resilience of the fraction of the human race on display in Christopher and Jonathan Nolan’s love letter to scientific advancement and family ties. You can experience the journey yourself, for the first or tenth time, as Interstellar is now available on Digital HD, with the Blu Ray/DVD set coming out on March 31st.